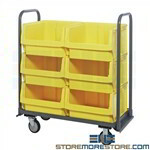 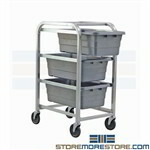 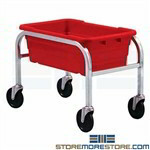 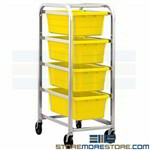 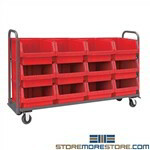 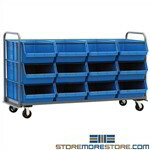 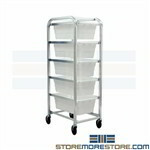 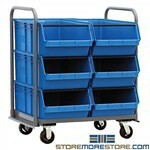 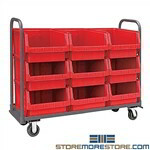 Bulk bin carts provide ergonomic and efficient storage and transport for heavy and bulky parts. 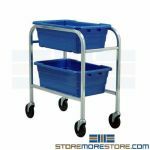 Included with large heavy-duty bin systems, the bulk carts are great to use as mobile pick stations, mail distribution, automotive repair parts storage, and more. 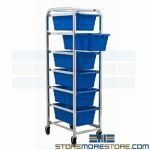 This 56-second short video shows the various heavy-duty bin cart features for easy storage, organization, and transportation of bulky items.